How does today’s technology impact teen driving? What does marijuana really do to impair teen drivers? 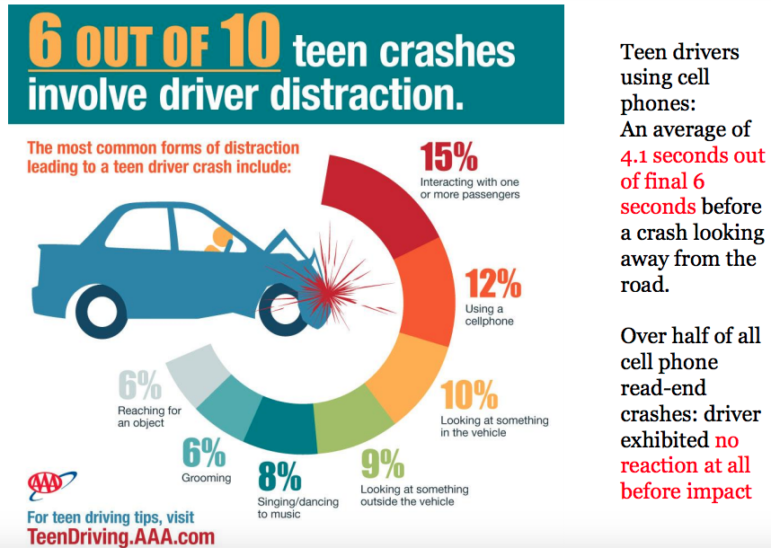 Is the real problem for teens distracted driving or anxiety/attention deficit disorder? If you’re between 15 and 19 years and are a new driver or prospective driver, you’re invited to attend AAA Northeast’s half-day teen safety summit, AAA to (Gen) Z for a discussion on the risks and challenges that teen drivers face. This free event will take place Dec. 6 at the Four Points Sheraton in Meriden from 8 a.m. to 1:30 p.m. It’s also is open educators, coaches, law enforcement and traffic safety stakeholders — anyone who wants to explore the challenges teens and young adults face behind the wheel today. Colleen Sheehey-Church, National President, MADD who’ll be the lunch speaker. To register, visit www.aaa.com/aaatoz or email Fran Mayko at fmayko@aaanortheast.com. Espresso Neat in Darien is one of 10 food-serving establishments in western Connecticut named by the American Automobile Association as one of the top establishments in its rating category, the AAA announced on Tuesday. Espresso Neat is considered a "one diamond" establishment, which is the AAA category for quick-serve places.